We made it possible. 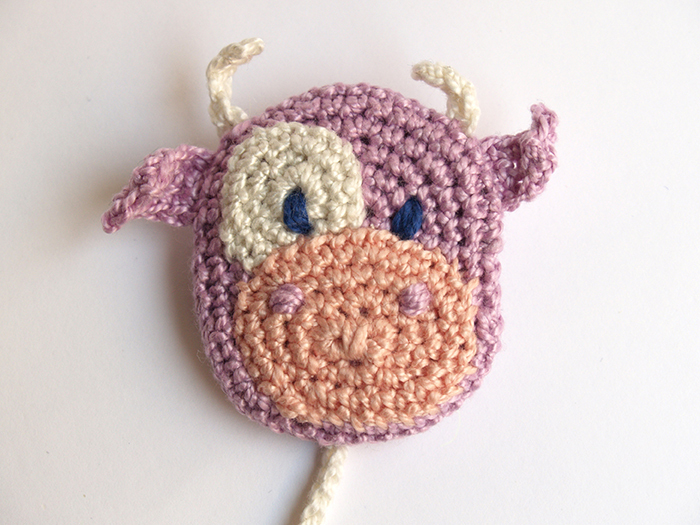 We started crocheting and a kind cow appeared. 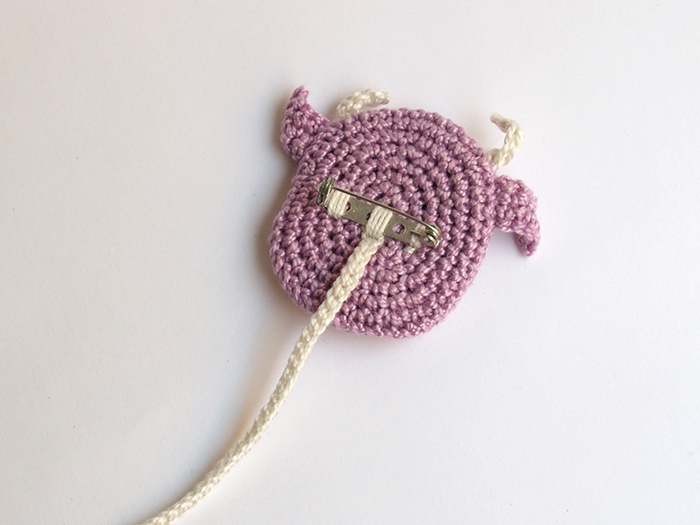 This pacifier clip is made in cotton yarn and has a safe lock to put in the t-shirt of our baby. 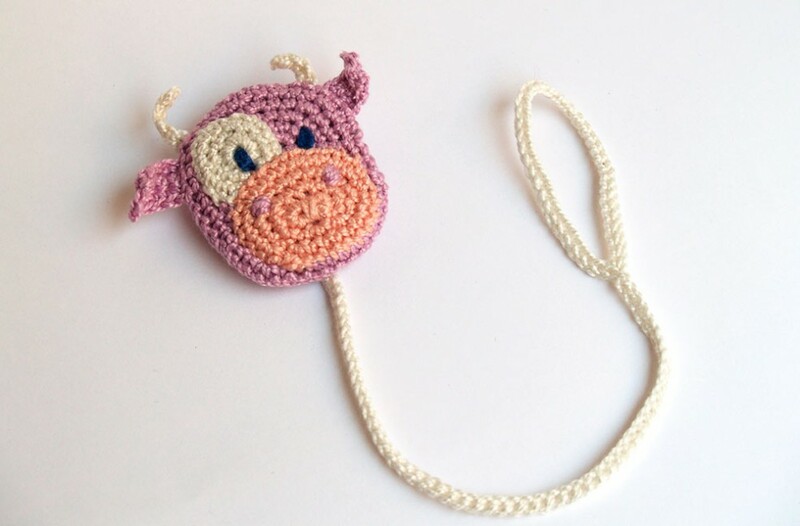 In the final of the crochet strap you put the pacifier. 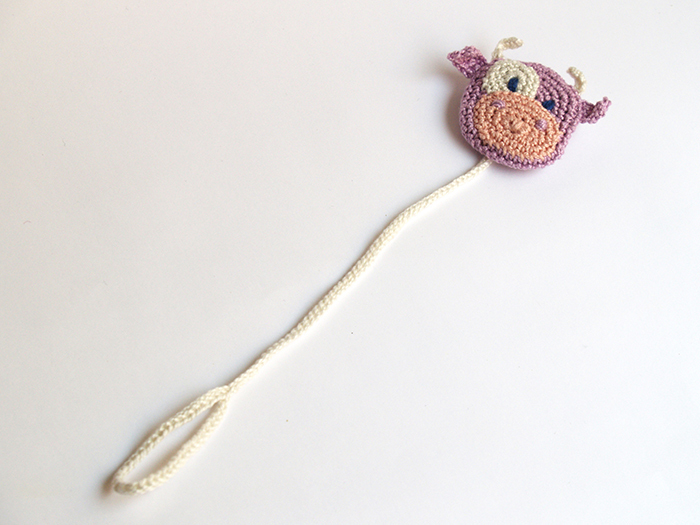 A good idea and a nice amigurumi, aren’t they?